Sydney’s amazing Bondi Beach bowl welcomes the return of Vans BOWL-A-RAMA™ Bondi from February 19 - 23 for its ninth consecutive year of awesome skateboarding and events. Following the first event of the international series, Vans BOWL-A-RAMA™ Wellington (held one week prior), Bondi promises to continue the festivities with an even hotter lineup of international skateboarding legends at the biggest professional bowl skating contest this side of the equator. Brigade member Steve Caballero (USA) knock out the competition to win his fifth Masters Title while crowds blew up in a well-deserved cheer. Following suit, teen prodigy Pedro Barros (BRAZIL) blasted his way through the competition to earn first place on the Pro leader board for the third year running, in front of Bucky Lasek (USA) and Rune Glifberg (DENMARK). 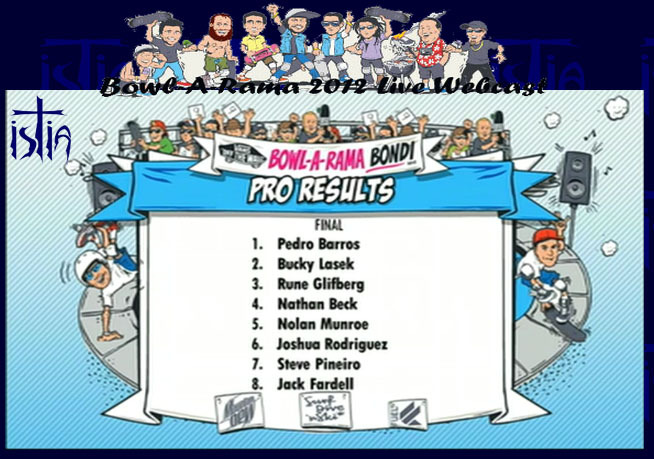 Vans BOWL-A-RAMA™ Bondi 2013 draws a stellar list of international talent, including the pumped-to-win runners up from last year’s event, alongside crowd favourites: Pedros Barros (BRAZIL), Steve Caballero (USA), and Josh Rodriguez (USA). Even though the Bondi Bowl-A-Rama is in its 9th year, there will be several premieres for the international bowl event: for the first time ever Christian Hosoi (USA) will be hitting bondi beach skatepark, and also for the firts time, Lizzie Armanto will compete in all all men's contest among the PRO division. In the meantime, all those folks will battle it out for the $100,00AUD prize purse. The competition on the Bowl is guaranteed to be fierce. “Rad!!! Some amazing skating is going on here in Wellington, New Zealand, it’s set for an epic PRO showdown on Saturday and then it’s off to the big-mama of skateboarding; the Vans BOWL-A-RAMA Bondi see you on the beach! !” Comments Master skateboarder Pat Ngoho. The PRO division is one of the strongest ever assembled, with a list of riders including Pedro Barros, Josh Rodriguez, Rune Glifberg, Jack Fardell, Nolan Monroe, Sky Siljeg, Nathan Beck, Kalani David, Bucky Lasek, Josh Stafford, Kevin Kowalski, Mike Owen, Charlie Blair, Alex Sorgente, Steve Pineiro, Omar Hassan, Otavio Neto, Rion Linderman, Joshua Borden, Nilo Pecannha, Andy Macdonald, Marcos Gabriel, Renton Millar, Ben Hatchell, Alex Perelson, Curren Caples, Ben Raybourn, Sam Beckett, Zach Miller and Lizzie Armanto all looking to skate their way to a spot on the podium. Frankly, Lizzie is the one who will bring more viewership and peps to the contest. She has a huge number of followers, especially since she already competed in the Men's division at the Bowl-A-Rama in Wellington and the ABC contest in Newcastle. 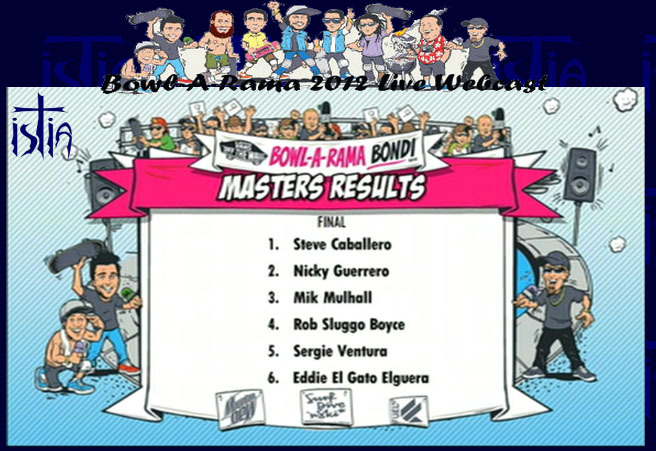 The Masters Division includes skateboarding legends Christian Hosoi (first time competing at Vans BOWL-A-RAMA Bondi), Pat Ngoho, Steve Caballero, Sean Goff, Eddie Elguera, Sergie Ventura, Lester Kasai, Michael Mulhall, Jeff Grosso and George Orton. In addition to hosting the world’s most recognized skateboard talent Vans BOWL-A-RAMA™ Bondi will once again award wild card entries to the winners of the Hurley Australian Bowl-riders competition (ABC™) held at Newcastle’s Bar Beach. These talented underdogs bring a whole new level of competition to the pool, making the pros sweat it out as they battle for the titles. This year at Vans BOWL-A-RAMA Bondi will have the Dew AM Jam, the amateur comp running as part of the day’s events. It was created by Mt Dew to give young amateur skaters the opportunity to showcase their skills in front of media and sponsors from around the world. This year $3000 is on the line for the best overall skater during the comp and the Order of Skaters will be provided on the day of the event. The runs will be judged by Mt Dew skaters Renton Millar and Nathan Beck as well as Sergie Ventura. “We’re all arriving in Bondi right now from the best Vans BOWL-A-RAMA Wellington so far. Building on the energy levels from last week means that everyone is in for one of the most amazing weeks of skateboard culture ever seen on the fine shores of Bondi. As lifelong fans we can’t wait to be part of it. Not only do we have new talent coming up to shake the tree but also a heavy list of scene builders that created the whole thing in the first place. Young guns like; Alex Sorgente, Jack Fardell and Kalani David side by side with the old dogs; Christian Hosoi, Mike McGill, Adrian Jones and George Orton is going to be bloody awesome!” Comments Chad Ford, Director of Frontside Events. Fans outside of Sydney can watch the action live via a global webcast from www.bowlarama.com.au, live Fuel TV broadcast and the Vans Live 2.0 App. Officially sanctioned by World Cup Skateboarding, Vans Bowl-A-Rama™ Bondi celebrates the culture of skateboarding by offering a week of festivities in the lead-up to competition on Saturday February 23. Join the action and check out the side events listed below (open to public) and celebrate skateboarding alongside the biggest talent in the world. Vans BOWL-A-RAMA™ Bondi is a World Cup Skateboarding (WCS) sanctioned event held on Sydney’s iconic Bondi Beach. Held annually, this free public event attracts rotating crowds of 5000+ in one day. In its ninth year, the event has added a significant roster of activities to its bill and will continue to grow. The new Vans BOWL-A-RAMA™ Bondi website is now live, and includes a regularly updated news page as well as a portal to the facebook page. This complements a strategic social media campaign implemented to amplify the overall experience. Other major sponsors of the event include (INSERT SPONSORS). Thanks to Bill Fonseca for the picture. You can see more pictures of Bill Fonseca at www.billfonseca.com. Used with permission.